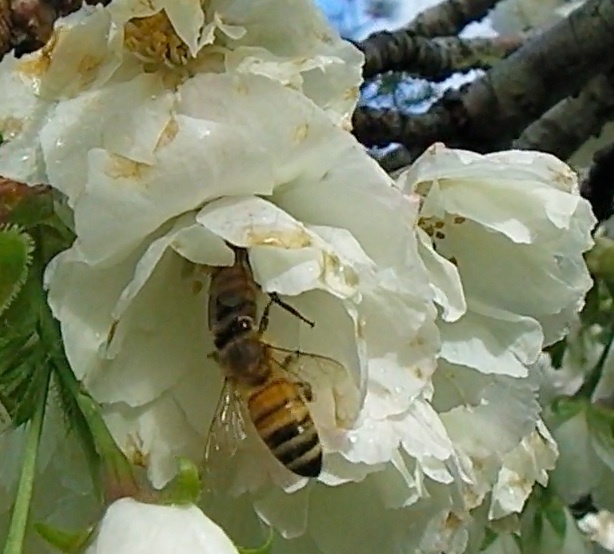 I was shooting video on the bees pollinating our flowering cherry tree when to my surprise I saw a bee actually pull another bee off a blossom. The bully bee then flew off, not even partaking of the nectar. So why did she pull the first one off? …and a bee brushing a different insect off the side of a crocus. Beautiful photography! Maybe she was from another hive. The same tactics a cop bee used to kick a drone of a langstroth landing platform on You Tube. Sort of like a bouncer at the door of a night club. After a bee drains a blossom of nectar she leaves some kind of scent indicating that the flower is empty to prevent sister foragers from wasting time on it instead of finding fresh blooms. 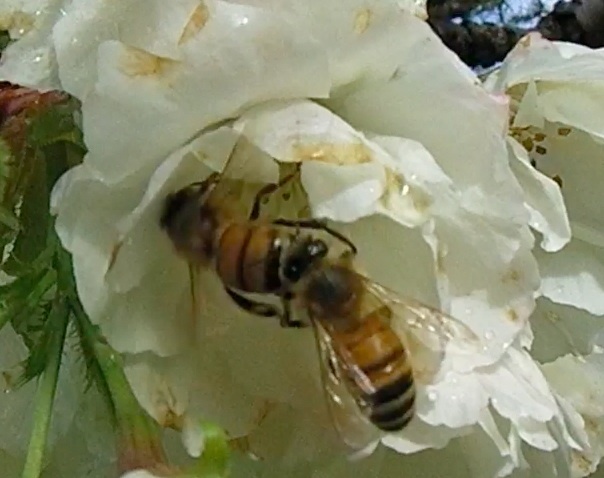 By the time the scent dissipates the flower should have produced more nectar. Perhaps the driven-away bee had already drained that particular bloom by the time the mean girl showed up? Did the aggressor go on to another flower? I’ve not seen honeybees being mean to each other like that whilst foraging before – fascinating.